If you blinked, the summer is already halfway over and it will be Labor Day before you know it. You may feel like you haven’t taken full advantage of Summer 2016, but fear not as there is still plenty of fun left to be had in New England. Cape Cod, Nantucket, Newport and Martha’s Vineyard save their biggest events for last. Check out what is still coming this summer. The three day music festival runs July 22-24 and features a number of top artists including Flight of the Concords, Patti Smith and Alabama Shakes. The festivals prime location at Fort Adams State park offers a panoramic view of the Newport Bridge. Enjoy four different music stages while indulging in food and craft from many different cultures. The event that stretches well over 50 years is one of Newport’s oldest annual celebrations. Many of the “Jazz Ambassador’s” come from all over the world to perform in Newport. The festival begins on Friday with a performance by one of the headliners Gregory Porter at the International Tennis Halll of Fame and continues all weekend at Fort Adams. Although polo matches are held all summer on Saturday nights, the competition really heats up as we approach August. The top talent from around the world puts on quite a show as they square off against other top U.S. and local Newport teams each August. Even if polo isn’t your thing, you can join the thousands of fans who pour in extra early for the tailgate. The Provincetown center for Coastal Studies hosts a seven day event with fun for the whole family. There are a variety of activities throughout the week, each following a marine theme. The homeade boat race, crafts for kids, and marine explorations all lead up to Provincetown’s own version of “The Amazing Race”. The premier film festival in Cape Cod is a week long event offering a platform for the work of independant and emerging filmmakers to be seen. Industry buffs from all over the world head to Cape Cod each year to see what’s next in the film industry. One of the many events in Cape Cod each summer that offers a variety of activities, the Dennis Summerfest consists of a sand-castle contest, a car parade and much more. Held at multiple venues throughout Dennis, the fest ends with a firework display at West Dennis Beach on August 21. Animal shows, crafts and some competitions that get a bit more than friendly highlight the three day fair that traditionally falls on the third week of August. The main event however, is the annual Skillet Toss. Each year, the women of Martha’s Vineyard enter into a competition to see who can throw their skillet the furthest and it can get pretty intense at times. The biggest celebration of the whole summer takes place in Ocean Park. Thousands gather around the Gazebo as music, food and drinks are available before the fire work spectacular kicks off at 8 PM. Even Magellan Jets gets in on the summer fun as we are the presenting sponsor for the Nantucket By Design Show August 2-7. The show is the Nantucket Historical Association’s premier summer fundraiser and celebrates the very best in creative and inspirational design across many fields and disciplines. The week caps off with the Grand Party Saturday August 6 that is well-known for being one of the summer’s hottest events. The world’s leading thinkers gather right as summer officially comes to a close to explore the most critical ideas each year. Over 50 speakers attend to share their knowledge of business values, the human imagination, social change and much more. 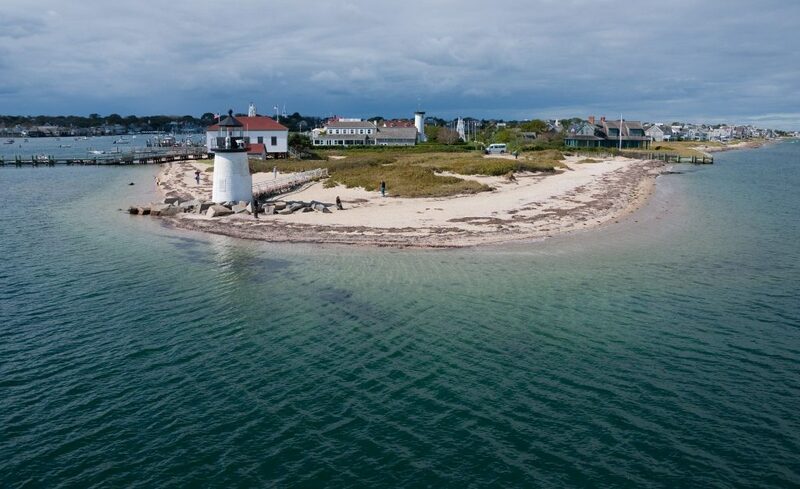 Through offering challenging ideas and building strong relationships, the Nantucket Project hopes to unlock the power of the human potential. A crowd of over 8,000 gathers on hand for a night of amazing music and a spectacular fireworks display. The 20th annual Boston Pops concert benefits the Nantucket Cottage Hospital and is widely considered one of the marquee events on Nantucket Island every summer. Arguably Nantucket’s most anticipated week of summer falls at the end when the Nantucket Yacht Club and Nantucket Harbor Yacht Club host race week. Ragatta’s, ceremonies and extravagant parties all lead up to the main event, Opera House Cup, on August 21 which attracts some of the most impressive sailboats in the world. As you can see, there is still plenty left to do this summer in New England. However, before you know it, we’ll be wearing winter coats and shoveling snow, so don’t let the sunshine pass you by. Check out all of our membership and charter options to get you to the summer’s hottest events.